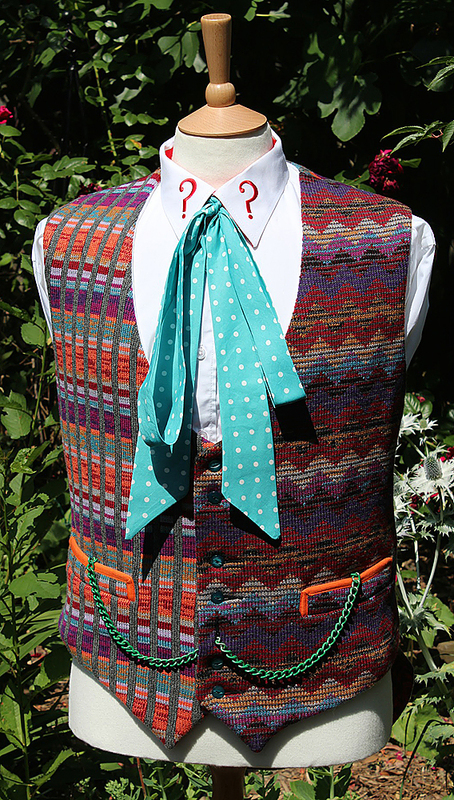 Over the past few months I have been very busy restocking on a number of bespoke woven fabrics needed to make my Ultimate Sixth Doctor costume. These are a mix of specially knitted, hand woven and industrial loom woven fabric and represent the most screen accurate reproductions made to date. I’m always tweaking and doing my best to improve the fabrics I use when the opportunity arises to make revisions to get them even closer to screen used. Now, you’ll be forgiven from thinking I’m off my rocker with my latest batch of tartan for the frock coat. The colour looks WAY off! I had heard that the tartan used had been over-dyed before use, but without knowing what the original colour was before dyeing it would be near impossible to recreate truly accurately. 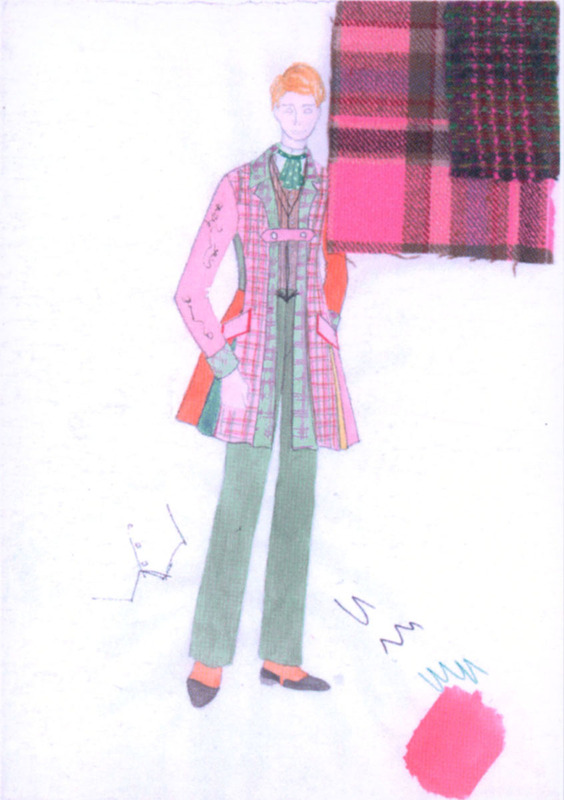 But after doing some research, I came across an original preliminary sketch by costume designer Pat Godfrey. 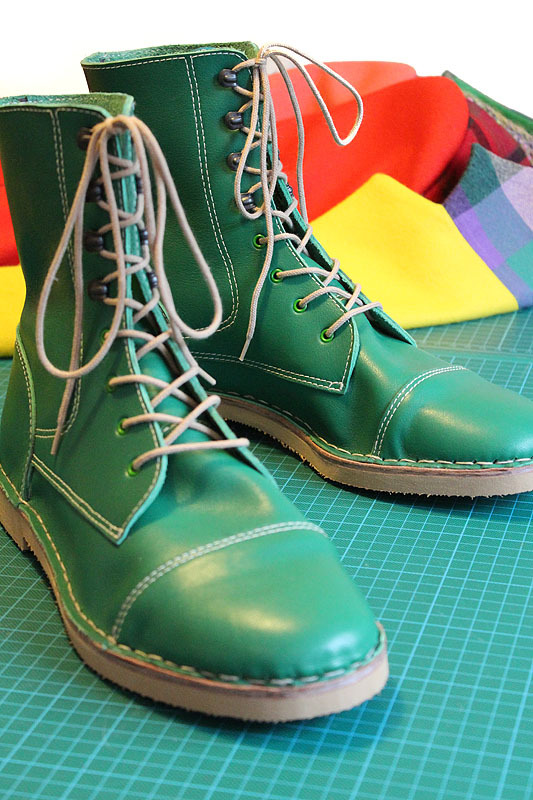 It reveals the idea was to use less intense colours, including trousers in a subtle green, and a frock coat with fewer colours used. 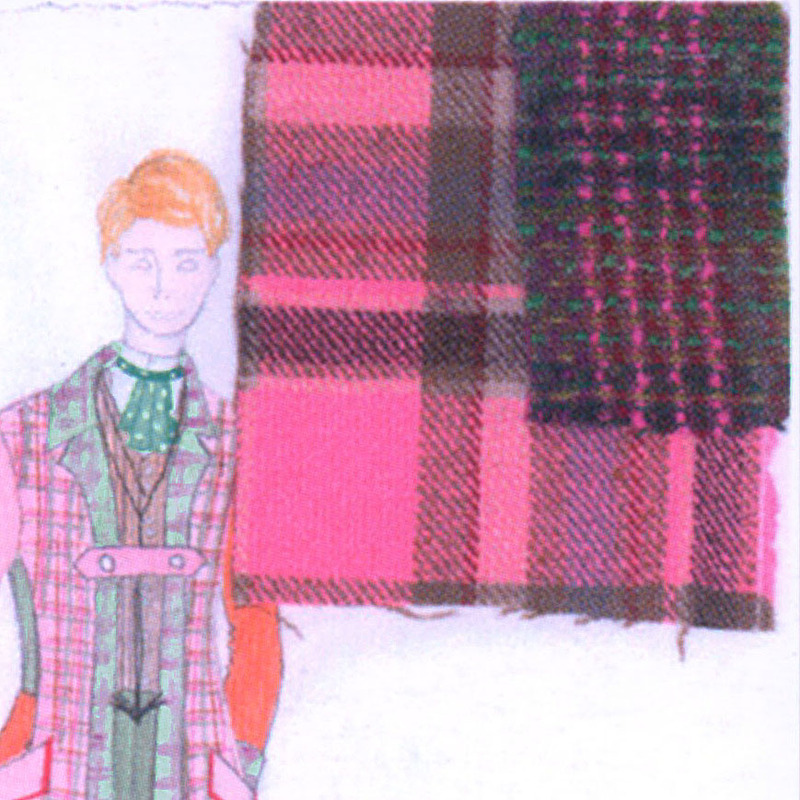 The lapels match, rather than being of different fabrics and if you look closely you can see it uses a tartan in a baby pink colour. A large swatch of the tartan is attached, and you can see not only the colour it was, but you can see much more distinction between the yarns used to make the darker stripes of the weave. 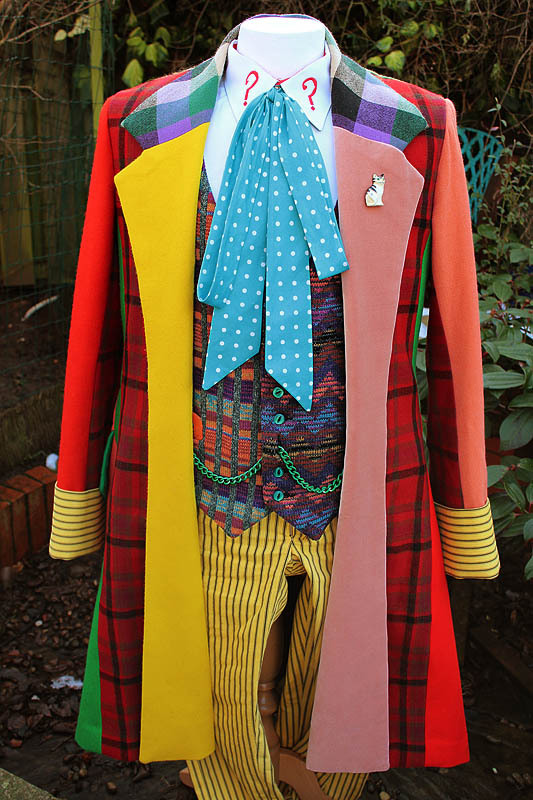 My guess is the fabric was bought ready to be made up into the coat, but a change of heart lead it to being over-dyed to a revised colour scheme rather than waste the material. So, what I have done is re-pick my colours to match this swatch, with the intention to over-dye it JUST like it was done back in 1984. 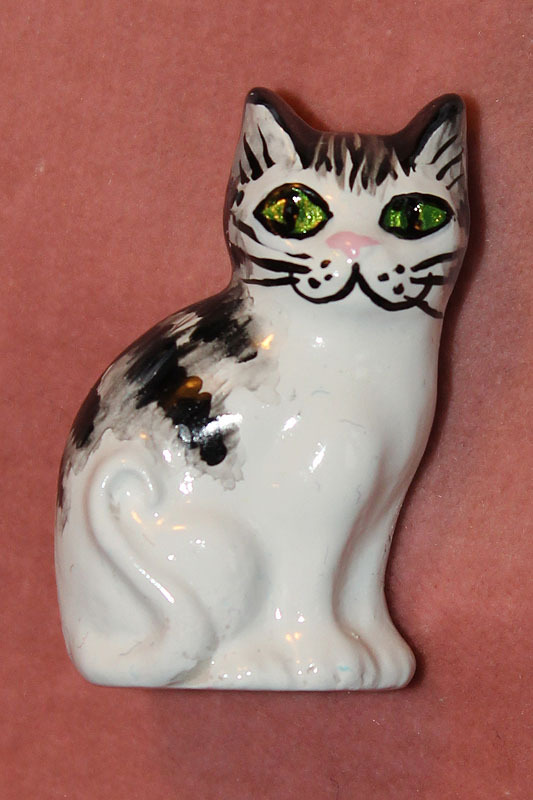 The result has been well worth the effort, with a much better match to the original coat, including the black stripes being polluted with the red dye - something that was apparent on the screen-worn coat. The broad stripes also have been improved. 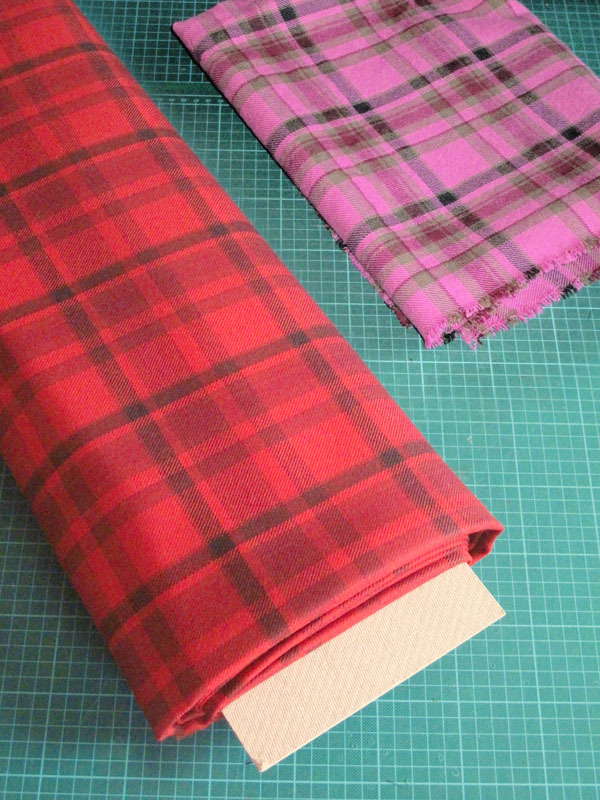 Red Tartan (fabric 1) - done properly! Nice! It's always nice to see new "making of" content. Good job with the results. Nice work. Did you have any probs dyeing the woolen cloth? Are there any particular dyes you recommend and do's and don'ts we should keep in mind when dying similar fabric? I'm now doing this stuff to a professional level, so project managing it with a number of companies to achieve the result I want. I used a WEAVER to get the base cloth made; a DYER to then shift the colours to how I wanted them to be; and finally a FINISHER to press and cut the stray fibres from the cloth to make it ready for use. What I can tell you is home-dyeing cotton is easy - home-dyeing wool is hard; and most man-made fabrics such as polyester and nylon are only for the experienced. By all means have a go - but there are times when you have invested over £1K in cloth, you want it handled by people who know what they are doing! Wow this is awesome! With the original fabric being pinkish with a more defined thread count, were you able to better identify what type of tartan this was and if any clans are associated with it? That said, I am very glad I have waited to order this coat since now it will be more accurate than it was when originally available. Any plans of further updates to the fabrics? It was never a 'real' tartan. It doesn't have a proper tartan pattern repeat. Instead it is a step-and-repeat. It is what is referred to as a 'fashion tartan'. Bottomline means this is a one-off from the 1980s and not something identifiable as a clan or genuine tartan. Also, do you think the evidence of green threads in the original pink fabric are why some people make replicas of the coat with the faded stripes in a greenish color; like, say, the Clothears version? Cloth Ears (and myself) didn't see the un-dyed colours before weaving our cloth. Even when I did this round I would from a low res version. The images I show in the posting are sourced after I have the weave done. The problem is a weaver will stock a range of colours to suit conventional jobs. What they won't hold are colours that are so close to each other you can hardly tell them apart. Dyeing the yarn to colour BEFORE weaving is prohibitively expensive. This means you have a limited choice of yarns colours to work with and the results can never match a cloth thats woven and then over-dyed. It is a compromise which in the case of the Cloth Ears coat, it shows. If you found a weaver with over 1,000 colour choices then maybe - but they don't exist. We've been looking everywhere for that tartan! Who is your supplier and how many yards did you need per coat? To get the tartan exact I had to commission a weave directly with a mill in Scotland. I did it as a trade account and they don't really deal with small orders from public. You'd need around 2 yards to get the drop needed for a frock coat. 2 yards, that's good to know. We'll keep looking, thanks! I was also wondering about any advice you could give about making the black with red and green squares ribbon in the back; you called it fabric 13.